Build your pantry one step at a time, with good quality ingredients so the food you have nourishes your cells to your mind. I've put together a list of what is in my pantry and use regularly in my recipes in the Kitchen so you know where to start and source them. My links to purchase are affiliate links and I earn a small commission. Purchasing from my link doesn't cost you anything, and it supports me in continuing to do this work. I only recommend products I 100% believe in and use myself. Thank you! This is a staple in my cupboard for making mushroom broth and I use as a base in many recipes. It's great for supporting your immune system and combat the damage done by stress. 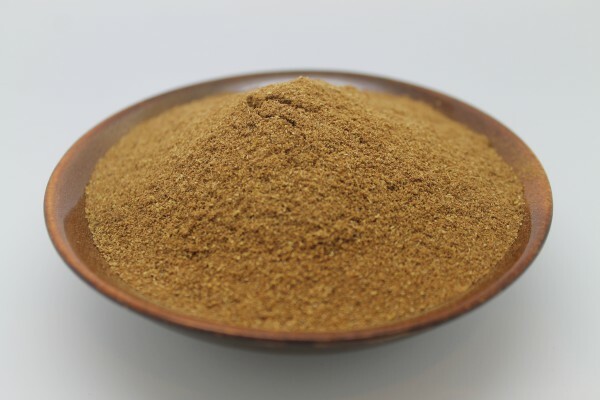 Reish is an anti-viral, anti-bacterial and immuno-stimulant mushroom that I use much like I do chaga to support my immune system, detoxify, and reduce inflammation. I prefer to use the root, and this is the next best thing. Turmeric is a bright yellow herb that is anti-inflammatory and incredibly delicious. I use it in my Golden Mylk Turmeric Ginger Elixir and my Spicy Shiitake & Greens Miso Soup. This may be one of my favourite spices because of the smoky, spicy flavour, which I naturally gravitate to in my recipes. It's a staple that's so easy to use. True cinnamon is sweeter and less spicy than the traditional cinnamons that you find in the grocery store. Besides taste, it contains a substance called coumarins, which are considered toxic to the body. 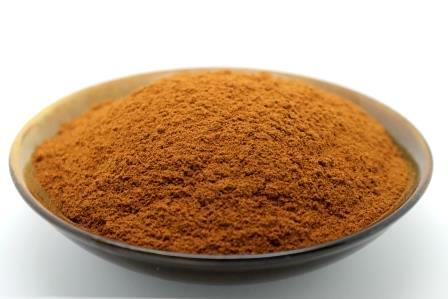 Besides being a delicious warming spice, it's a digestive and circulatory stimulant. 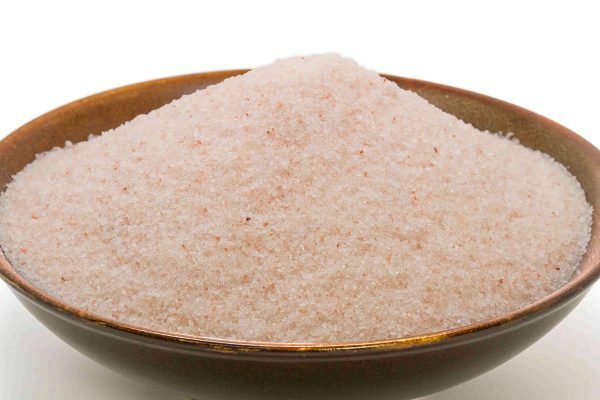 This sea salt contains over 84 trace minerals, and is the primary salt I use to flavour all my recipes. Table salt is refined, stripped of many of those nutrients, which is why this variety is preferable. 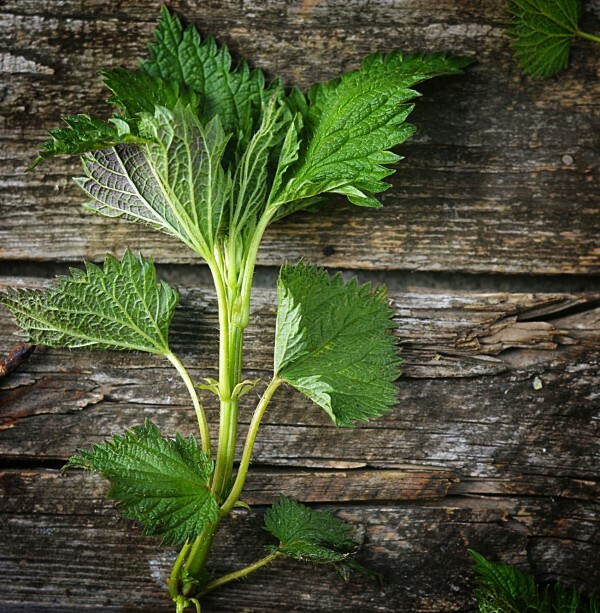 If you don't forage, you can use dried nettle from Harmonic Arts in many of the recipes I make as an alternative, like Nettle Tea and Grounding Nettle & Kabocha Squash Soup. 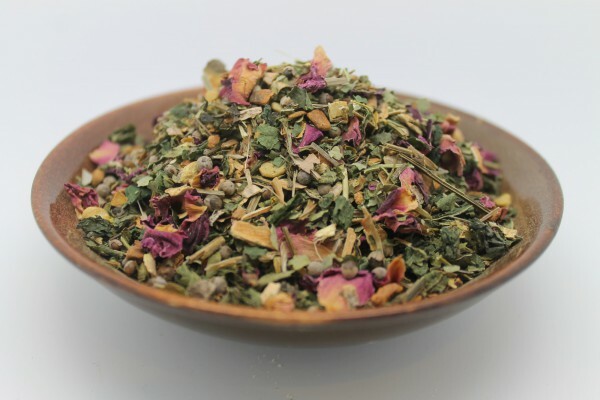 This is my favourite tea to use during my moon cycle because it helps reduce PMS and regulate hormones. I steep these flowers to make a cold brew tea and use it as a base in my smoothies rather than water for added Vitamin C and flavour. Chai tea is my favourite kind of tea. I love mixing it with raw cacao for a chocolate chai, or on its own with some soy creamer. 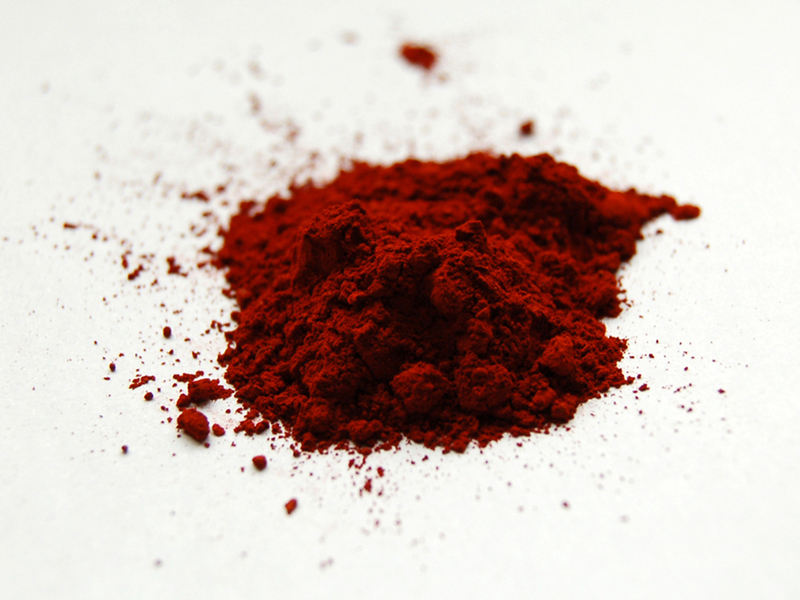 As a powder, you also ingest all the nutrients for an extra boost. This delicious blend is a perfect coffee substitute. 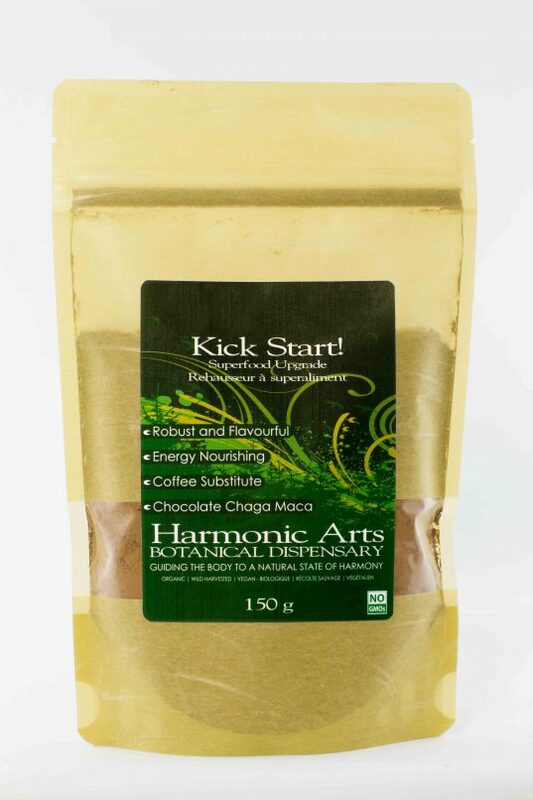 The raw cacao is naturally stimulating, which helps wake you up, and it's loaded with other nutritious ingredients like chaga, maca, yerba mate and dandelion. I can't survive without this in my pantry. Raw cacao are cacao beans that have been fermented then ground in to a powder (or nibs). It's naturally high in antioxidants, magnesium and iron. I use it in smoothies, desserts and my Spicy Adaptogen Hot Chocolate. A mind and energy building tonic made with Tocotrienols, Lucuma, Mucuna Extract, Green Tea Pollen, Pine Pollen, Lion’s Mane, Coconut Water Crystals, Cardamom. A great boost to your smoothie and baking, this adaptogenic herb is great for supporting your adrenal system. 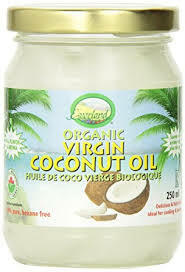 Coconut oil can be a great healthy oil to use in cooking and baking, and you want to make sure it's unrefined, cold-pressed and ideally stored in a glass jar. It's great for high heat and raw food desserts! Raw apple cider vinegar includes the Mother, or scoby, which means it is got living bacteria in it that support your digestive system with good bacteria. It's more expensive than plain apple cider vinegar that's been pasteurized, but the added health benefits are worth it.